Botox is a drug preparation of the bacterium Clostridium botulinum. The order of bacteria Clostridium all has a physical similarity that they cause “profound paralysis or profound contractive spasmodic conditions…” (Klein, Miasms and Nosodes Book 2009 p. 90) This is true from a homeopathic, bacterial, and drug perspective. 1. I did pre and post care using teas and homeopathic remedies to ensure the best treatment success for the therapy. Botulism is a serious condition, which can be fatal. Very few people have statistically negative results from cosmetic dermal procedures, but side effects are possible. To counteract possible side effects of the Botox Injection, I took Homeopathic Arnica and Ledum before the injection, and a single remedy from the Clostridium group of remedies after the injection that best fit my symptom picture. When I went in for a secondary set of injections and follow up, I was lazy and did not do my prophylactic treatment, as my initial treatment had been such a success! I had a headache for 4-5 days afterwards, and some very tender spots where the injections had gone in. I may have also had a slight transient droop in my right eyelid. This proved to me that prevention is the best medicine! Taking homeopathic remedies to counteract the possible side effects proved more effective than not taking the safe, and inexpensive remedies. 2. The best Botox effects result in youthful transformation. Transforming the face to erase lines may sound like a simple paralytic procedure, but you are actually asking your body to release muscle memories. My experience of this was that I needed to consciously release some old anger and frustrations in the first few days after the treatment, to help my body align with the new muscle structure. Think about it – all those years of frowning were for reasons; addressing the emotional context on a physical AND emotional level allowed for more profound transformation. 3. Headaches are a very common side effect – as the biochemical systems of the body are literally metabolizing the toxic Botox substance. Improving your lymphatic circulation through local massage and gentle detoxification support allows your body to more easily transform the chemical. Too much detoxification, and the Botox drug may actually not work as well as you hope! Not enough detoxification, and flu like symptoms, headache, facial pain, nausea and prolonged redness will result. I also saw Hadley Clark L. AC from Zenkai Acupuncture for a post-Botox acupuncture treatment to eliminate my headaches. She was wonderful! Traditional Chinese Medicine has an entire system of care devoted to Facial Rejuvenation Acupuncture -designed to reduce fine lines, improve skin tone and texture, and eliminate redness. Following a Botox treatment with a facial acupuncture series, or having a series done when a new Botox injection would be indicated is one way to make the effects of Botox last longer, to decrease the amount of injections, and to address facial aging from a more holistic perspective. Many people were surprised that as a ND, I would even consider Botox. Naturopathic Medicine is not against the science of (anti-aging) pharmaceuticals, nor is it only “natural” products. It is a system of medicine that offers individualized care, grounded in the understanding that given the correct support, the body has the wisdom to heal itself. Naturopathic Medicine uses the most natural, least invasive and least toxic therapies needed for each case – in this case to support the toxic therapy at hand! Why use homeopathy? Because it is the safest, and most effective way to counteract the side effects of invasive medical treatments. Homeopathy believes that many substances, but especially bacterial, viral and fungal infections, can create a genetic taint or footprint that continues to affect cellular expression beyond the primary infection. These “taints” or “miasms” can affect the genetic memory enough to cause intergenerational health problems. If you are willingly introducing very toxic bacteria into your system, for beauty (or pain relief) isn’t it worth also addressing the potential long-term negative ramifications from the start? “Check with your doctor if any of these most COMMON side effects persist or become bothersome when using Botox: Anxiety; arm pain; back pain; dizziness; drowsiness; dry mouth; dry or irritated eyes; facial pain; flu-like symptoms; headache; inability to focus the eyes; increased cough; indigestion; nausea; neck pain; pain, redness, swelling, or tenderness at the injection site; runny nose; sensitivity to light; stiff or weak muscles at or near the injection site; tiredness; sweating. 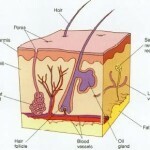 The skin is the largest organ of the human body – and the only one that the world can see. Keeping skin luminous requires not only topical maintenance, but also premium nutritional support and hydration. 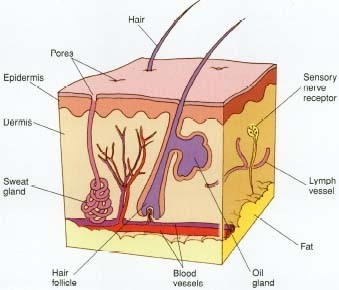 The skin is a secondary organ of elimination. This means that when the primary organs of elimination -the liver, kidneys and bowels – become overworked, the skin takes on the additional job of detoxifying for the body. This results in acne, redness, discoloration, eczema, rosacea, spider veins and other cosmetic maladies. Fortunately, by providing skin with optimal essential fatty acids, antioxidants, vitamins and minerals, and by improving detoxification at the primary sites of elimination, you can maintain the glowing, clear complexion and collagen levels you have always wanted. ¨ Eat more liver-loving foods on a daily basis. Start your day with the juice of 1/4 a lemon in a pint glass hot or cold water on waking to get your digestion started. Eat at least 2 of the following foods daily to improve detoxification: beets, carrots, cabbage, cauliflower, kale, bok choy, arugula or broccoli. ¨ Choose local cold water fish, such as cod, sardines, sole, haddock, or herring 2-3 times per week. Avoid swordfish, shark, king mackerel, halibut, sea bass or tuna steak, which contain high levels of mercury. Remove skin from all fish to reduce PCB contamination. Tuna, sea bass and Atlantic cod are overfished. Tuna can only be eaten once every 2 weeks to avoid mercury contamination. Only eat wild caught salmon, avoid farmed if possible. ¨ Ensure adequate fibre intake daily from whole grains, lentils, beans, vegetables, and fruits. Be adventurous with your grains – try millet, quinoa, brown rice, wild rice, and buckwheat kasha as part of your meal plans. Include a minimum of two raw vegetables daily and one piece of organic fruit. Omega 3 Fish oil – 2 caps twice / day or 1 tsp – Omega 3 oils reduce inflammation decreasing redness and dryness. They also keep hair, skin, and nails rich and lustrous with essential fatty acids to nourish from the inside out. Vitamin C -2000mg daily. C is an integral component of the collagen matrix. It is also a potent water soluble antioxidant, which works to detoxify the fluids surrounding cells. Adequate levels of vitamin C can be absorbed from a diet high in organic fruits and vegetables, otherwise supplementation is advised. Research has also proven that topical Vitamin C products improve skin quality. Zinc/Copper by AOR. Copper pairs with Vitamin C to form collagen, and Zinc is an essential mineral for many enzymatic processes. If you are having problem skin, supplement with a Zinc / Copper mineral at least 6 months of each year. With more invasive procedures such as aggressive peels and some laser treatments, more personalized treatments may be needed to optimize healing and provide long term maintenance. Its best to create a plan for before, during and after your facial rejuvenation. Homeopathy is an integral part of advanced skin care. Several studies have been done using Arnica Montana in homeopathic preparation for post surgical care. http://www.med.nyu.edu/content?ChunkIID=38342 These have all illustrated that this remedy decreases post-operative edema, and can reduce pain and bruising as well. Homeopathy is extremely safe, and can be used to treat bruising, pain, burns, and other side effects of advanced facial care. Complicated or chronic dermatological conditions such as vitiligo, acne, rosacea, eczema and other pathological skin conditions generally require personalized treatment plans as these all involve internal organ dysfunctions that are manifesting as skin conditions. Nutrition, Botanical Remedies, Stress Management and Lifestyle Counseling will likely be employed to restore your skin to its natural beauty. Weight loss is and will always be immensely complicated, full of chutes and ladders of self esteem, deprival mentality binging, and whirlpools of addiction. Still, there is a forest beyond the trees. Or, a Candyland amidst the candy as the case may be. Successful weight loss has 4 steps: detoxification, cortisol balancing, optimizing diet and exercise. Detoxification is the new key step to integrate – at the beginning of the weight loss process. Evidence is mounting that our body uses our fat cells and between-cell fluids to store toxins that it is not able to metabolize effectively. Some Persistent Organic Pollutants (environmental toxins) have even been suggested to be “obesogens” contributing to further weight gain. 1 . When we exercise or reduce caloric intake to facilitate fat burning, the matrix between our fat cells can be so thick with unprocessed environmental and metabolic toxins that the body preferentially burns muscle to get the fuel it needs! Therefore, Step 1 must be to detoxify. Our body has 3 primary routes of detoxification: bowels, kidney and liver. All three will eventually need some fine tuning, and the order of tonification depends on your signs and symptoms, as well as your medications and general vitality. Step 2: Optimizing Diet. Its so hard to eat well consistently. It is even harder if food is one of your chosen drugs, and you are addicted. Weight loss would be so easy if everyone was willing to go gluten and dairy free! In my experience if you have a 65% whole foods diet, then the remaining 35% can be whatever you want. To figure out how to shift your eating with an approach that will work for you in the long term there are many resources – The Glycemic Diet and Eating Right for Your Blood Type both explain more about the underlying principals of nutrition. Weight Watchers also works for a reason – being accountable for what you are eating and restricting some foods to moderate amounts *will* help you lose weight. What does “whole food” mean to me? 65% of your diet will be cooked grains, steamed or sauteed vegetables, organic fruits and juices, tofu, beans, eggs, wild fish, coconut milk, olive oil, butter, nuts and seeds. The remaining 35% can then be everything else – beef, bread, cheese, bacon, alcohol, etc. What does 35% mean for real? 2.45 days a week you can eat whatever you want, the remaining days are pretty basic, healthy, and “granola” food choices IF you actually want to lose weight. Stress Management aka Cortisol Regulation is the golden child of any weight loss program. Several books have been written in the past 10 years outlining the connections between stress, hormones and weight gain. I like cracking The Metabolic Code by James LaValle R.Ph, C.C.N., ND. The bottom line is this – when you are stressed out, your blood cortisol levels increase. Just in case you are running from a rabid dog and need to climb a tree your body makes sure (via increased cortisol) you have lots of sugar available in your blood for extra energy. However, if you aren’t in fact running, and don’t need to extra sugar, your body turns that blood sugar into belly fat. Therefore, its important with all weight loss programs to address stress at some point to treat the biochemical imbalances leading to increased weight. There are a few herbs and vitamins that specifically rebalance cortisol levels, and reteach the body how to respond appropriately to the every days stress of life. Finally, exercise and an active lifestyle. Getting the blood pumping and muscles moving mobilizes fat toxins into the bloodstream, and serves as an excellent antidote to daily stress. Check! I also find that getting ones body moving in whatever form works for you is invaluable to setting the positive cycle of weight loss in motion. The positive cycle is this: eat a good meal –> feel good about yourself –> go for a walk/to the gym/to yoga –> feel sexier–> feel motivated and excited about life –> make a good food choice. The cycle keeps going so that sooner than you expect it, you start to feel the benefits in the way your clothes fit which makes the supplements and brown rice and kale suddenly get much more appealing! There is no one quick fix, no one diet or pill or product or form of exercise that will resonate for everyone. The structure is fluid and fundamental – the individual components are designed to be strategically tailored to fit your life and style. I also think its worth asking yourself – do you Really want to lose weight for You? Or, are you holding your Self up against an ideal that you actually don’t want to attain? Personal honesty will take you further than anything else. Allow yourself the option of total success if you truly want to revolutionize your self image. And, weight loss takes time. It is only reasonable to lose 10% of your total weight in any given period of weight loss. So, if you are 160lbs, losing more than 16 pounds is more than your psyche will be able to maintain. Therefore, when you reach your new goal weight (144) you will need to start over and reassess where you are, and where you want to be before another 14 pounds is sustainably lost.